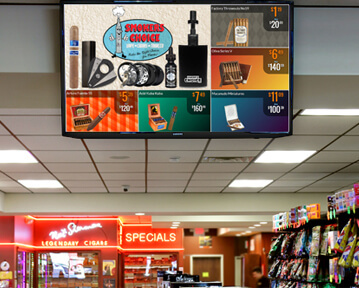 Engage and educate your customers with FasTrax Solutions Digital Signage and watch your profits skyrocket! In an increasingly tech-driven society, in-store digital advertising captures consumer attention, driving sales with promotion and product education. Dynamic graphics and animation draw customers’ eyes. Rotating digital advertisements allow multiple promotions to hit a single consumer at the optimum time to launch impulse buys. 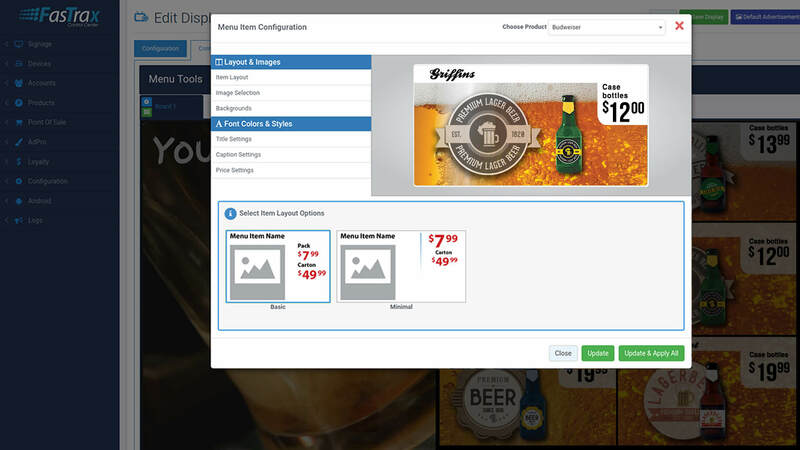 FasTrax Solutions Digital Signage includes a full suite of tools that will simplify your in-store marketing. FTx Digital Signage syncs with FasTrax Solutions’ Point of Sale system to update pricing on your digital menus and signs automatically when you use the Products Feature. POS customer facing displays educate customers on promotions, enticing them to make impulse purchases at the register. 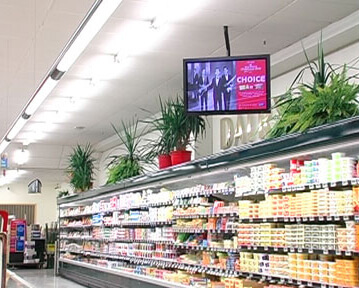 Use FasTrax digital signs and menus to promote slow moving products and create awareness for new ones, while simultaneously building store loyalty. Take advantage of sales trends by deploying ads immediately, eliminating costly printing time. Broadcast digital ad content across multiple retail outlets quickly from anywhere using the FasTrax Control Center. Schedule your ads days, weeks, months, or even years in advance so you never miss a promotion. Traditional in-store paper signs are costly, inefficient, and take up prime real estate in your store. Digital signs are efficient, profit generators. 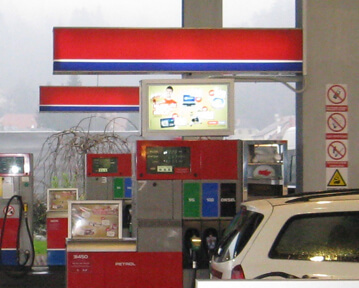 Sell ad space to manufactures, building their brands and offsetting your digital signage expenses. Learn how FTx Digital Signage can drastically improve your customer engagement and skyrocket your profits. Schedule a demo today! FasTrax Solutions’ cloud-based Control Center dashboard gives you the freedom to create, edit, and schedule your digital ads from anywhere on any device. Deploy your ads immediately or on a schedule in one or all of all of your locations. Easily upload the photo files for your finished ads. You can also hire FasTrax Solutions’ Marketing team of graphic and web design specialists to design stunning professional ads for you. 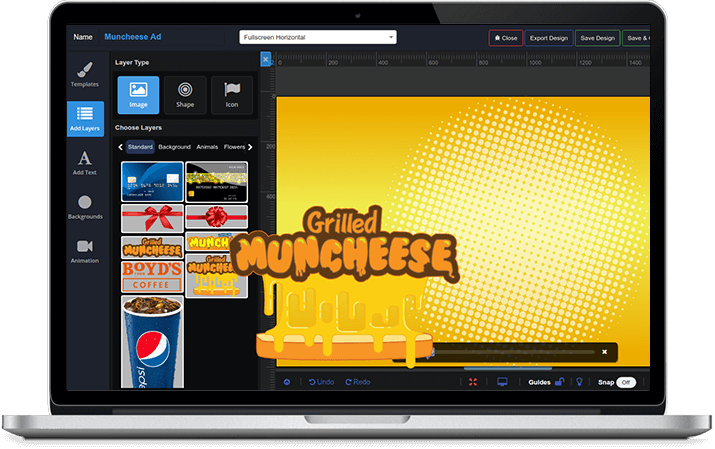 Another popular option is to use FasTrax Solutions’ graphic design software FTx AdPro to create custom ads yourself using its simple drag and drop tools. Can’t afford to hire an advertising agency and don’t have an in-house graphic designer to produce professional ads for your digital signs? FasTrax has the solution for you. FTX AdPro features intuitive tools and user-friendly menus that make it easy to produce professional ads yourself, even if you are a novice when it comes to design. FasTrax Solutions’ feature-rich graphic design software FTx AdPro gives you all the tools you need to achieve professional results with minimal effort. Select your screen size from the available options, name your ad, and assign it to an account. Use one of the ready-made templates or start fresh with a blank ad. Choose from a wide selection of fonts, photos from our expansive photo library, background colors and gradients, shapes, and symbols. You can also upload your own .jpg, .png or .gif files for use in your digital signs. The abundance of design elements help you create the perfect ad. The drag and drop tools and user-friendly menus make it easy to edit your ads. Choose your background color or gradient, add photos or symbols, choose your fonts, and create text boxes wherever you want. Drag a photo or shape from the menu on the left side of the screen and drop it directly where you want it. Resize or rotate images and text boxes by simply manipulating the element’s handles. Click on an image, text box, or object you want to edit and a context sensitive menu will appear at the top of the screen, showing you all of your editing options. Create visually appealing layers of text, objects, and photos, arranging them in any order you desire utilizing the many layering options available. 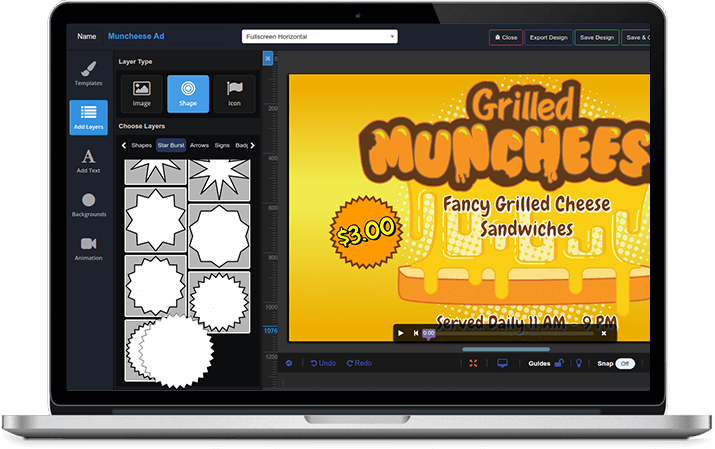 AdPro’s animation tool allows you to add movement to your ad, drawing your customers’ eyes to your digital signs. Once you’ve designed your ad, use the preview button to see exactly how it will look displayed on your TV or POS customer facing display in the store. Missed something? No problem. Simply close the preview screen and continue editing. When your ad is finalized, simply export your ad to the advertisements section. From there you can choose the day and time you want it to run by adding it to the Timeline Scheduler. Once your ad is created, there is no limit to the number of times you can run it or the number of devices you can display it on. FasTrax Solutions Digital Signage lets you set the schedule for your digital ads so they play automatically, ensuring you never forget to switch out paper menus or miss promotions. Choose as many ads as you want to run in a day, arrange them on the visual timeline, and easily change the display order all from the Control Center. 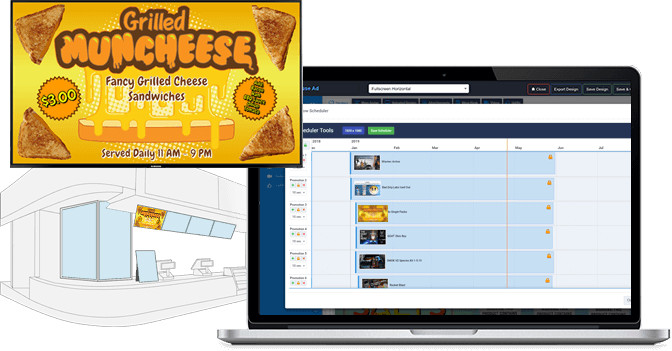 The Daypart Scheduler lets you schedule your digital menus or ads to play automatically at different intervals throughout the day. This feature is perfect for businesses that serve different products at different points in the day. Change individual products on your digital menu or switch between several different digital menus to accommodate breakfast, lunch, happy hour, dinner items or late night, up to 5 different daypart menu schedules. 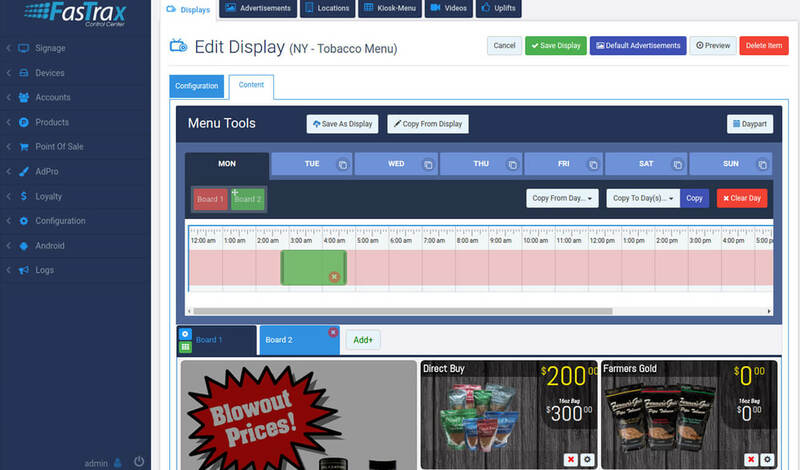 Build a timeline of your promotions with the Timeline Scheduler and put your digital menus and displays on autopilot. This easy-to-use tool gives you a visual representation of your ad schedule in detail so you can plan for promotions weeks, months, or years in advance. At a glance, see which ads are scheduled to play and how they fit into your overall promotions calendar. Need to change the order? 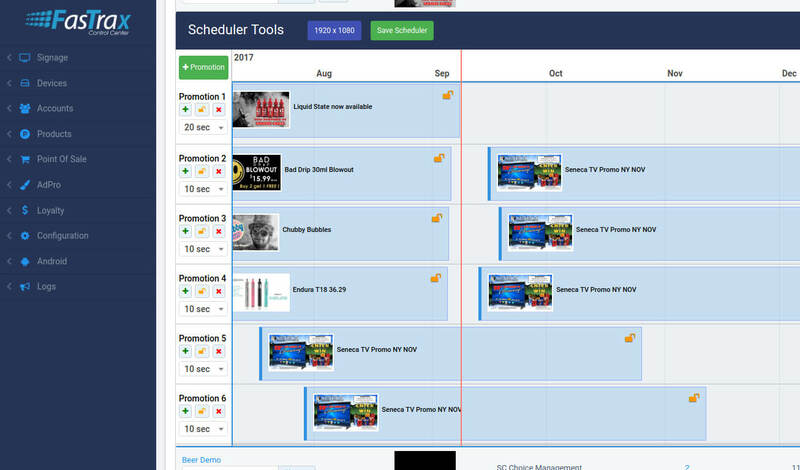 Simply drag the slide to the time slot of your choice, hit “Save Scheduler,” and your new schedule is ready to go. Never worry about changing out paper signs or missing promotion opportunities again! FasTrax Solutions Digital Signage integrates seamlessly with FasTraxPOS to automatically update your digital signs when a change is made to your product pricing in the FasTrax Director. The FTx AdPlayer App is a proprietary software that comes installed on the FTx Android Media Player. 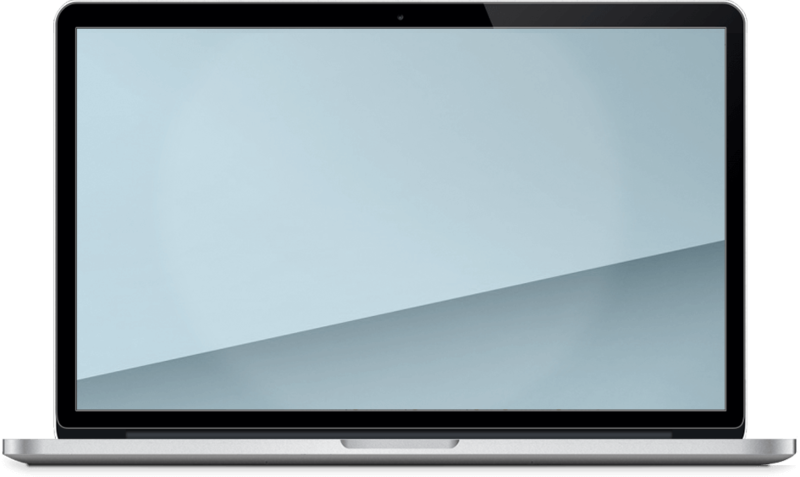 Every few minutes the AdPlayer app checks for updates made in the Control Center and pulls new content based on the information available, maintaining a PCI compliant network. Any changes you’ve made in FasTraxPOS will be automatically reflected in the ads you create using the Products feature in the Control Center. FasTrax Digital Signage connects your stores’ TVs to the cloud-based Control Center via external Android Media Players that plug into the back of your TV using an HDMI port. They require their own power source. While you are free to use your own TVs, each one will require its own Media Player. Create location specific ad content for each TV, tablet, and FasTrax POS customer facing display in your store by naming every device and assigning it a location in the Control Center. Easily manage the digital ad content for multiple store locations all from the user-friendly dashboard. All promotional content is stored locally in the Media Player to minimize interference from external conditions, while maintaining PCI compliance at all times. In the event of a security breach, merchants found to be non-compliant with PCI requirements are subject to steep fines anywhere from $5,000 - $100,000 a month until all the compliance issues are resolved. 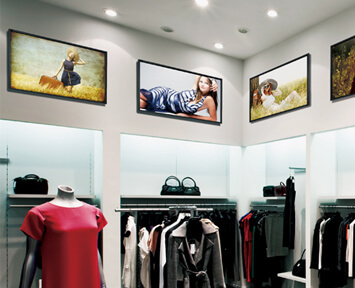 With FasTrax, you can rest assured that our Digital Signage solution is PCI compliant. FasTrax Solutions Digital Signage will work with your existing TVs, provided they have an HDMI port, but the use of an external media player is required. Get started with FasTrax Digital Signage for as little as $149 with our introductory hardware price. Samsung 40” Commercial Grade HD Monitor (DC40E)* with 3 year on-site warranty. Samsung 48” Commercial Grade HD Monitor* (DC48E) with 3-year on-site warranty. With FasTrax Digital Signage, there are no contracts. Simply choose a package that suits the needs of your business and pay month to month without any obligation. 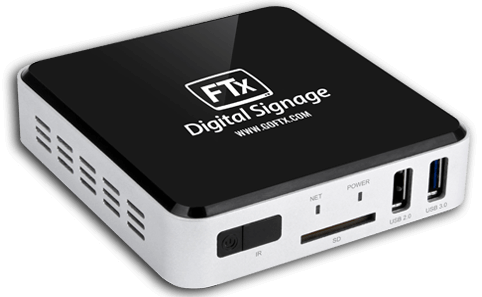 Schedule a demo to learn how FTx Digital Signage can become your profit-generating powerhouse. 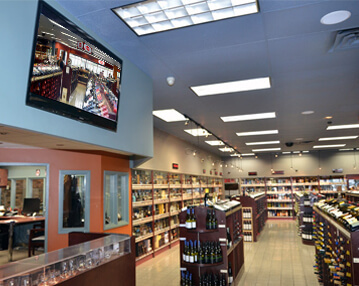 FasTrax Solutions Digital Signage is an open architecture software that can be fully customized to all POS vertical markets including smoke shops, wine and spirits retailers, supermarkets, gas stations, convenience stores, pet shops, restaurants, retail shops, and more. 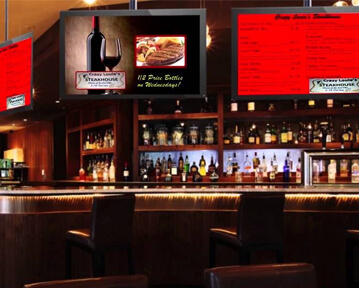 No matter what your business, FTx Digital Signage is the solution you’re looking for! Contact A FasTrax Solutions Partner Now! USE THE FORM BELOW TO SUBMIT A QUESTION OR SCHEDULE A DEMO AND WE’LL GET BACK TO YOU ASAP. Learn how FasTrax Solutions Digital Signage can engage your customers and skyrocket your profits.